Welcome to Udaipur’s new magnificent abode. Atulya Niwas is the testimony of culture and heritage led romanticism that makes Udaipur one of the favorite haunts of every discerning traveler. The imperial architecture, serene lakeside surrounds and the quintessential times of pleasant views of mountains, forts and flamingos; it all come together to suitably provide and experience which by all means is unequaled. A city which is a fairytale in itself gets a new saga to recount and a host of never before experiences unfold to create a tale of iconic proportions. Parking, Conference Hall, Room Service, Family/Child Friendly, Travel Counter, Express Check-In/Check-Out, Gardens, Recreation, Doorman, Security Guard. Ceiling Fan, Cable/Satellite TV, Complimentary Newspaper, Child Care, Toothbrush/Razor on Request, Wardrobe, Mineral Water, Daily Room Cleaning, Moisturiser, Curtains/Shades. 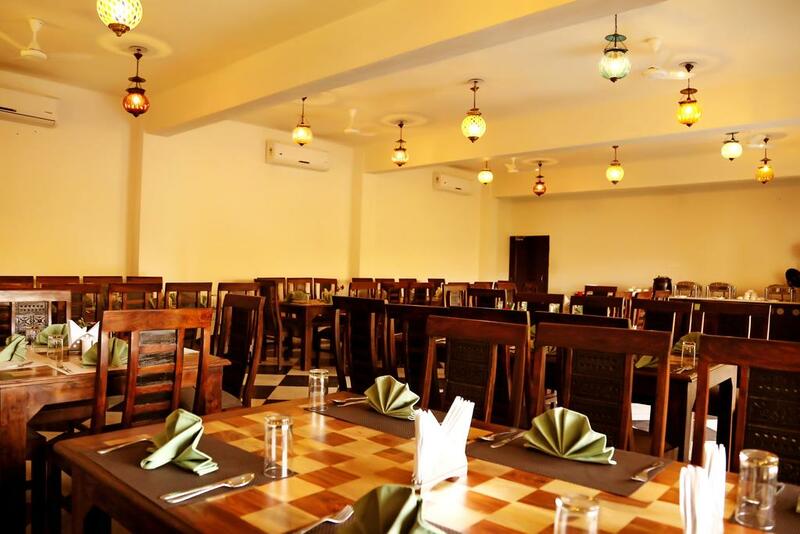 Banquet Facilities, Beauty Services, Business Facilities, Conference Hall, Doctor on Call, Laundry Facilities, Parking, Restaurant, Room Service. User reviews for "Atulya Niwas Hotel Udaipur"